Community Chinwaggers in a tiny town that’s moving on with progress. After forty-five years, what if everything you knew about your family turned out to be only half the truth? Jiggs Woolsey’s life is uprooted the moment he discovers a skull on his Oregon ranch. The wise thing to do is to turn the skull in…or is it? His search for answers takes him through wringing interviews with gossips, laughable and wrenching father-son situations, and heavy-hearted secrets about his town and his pioneer family. 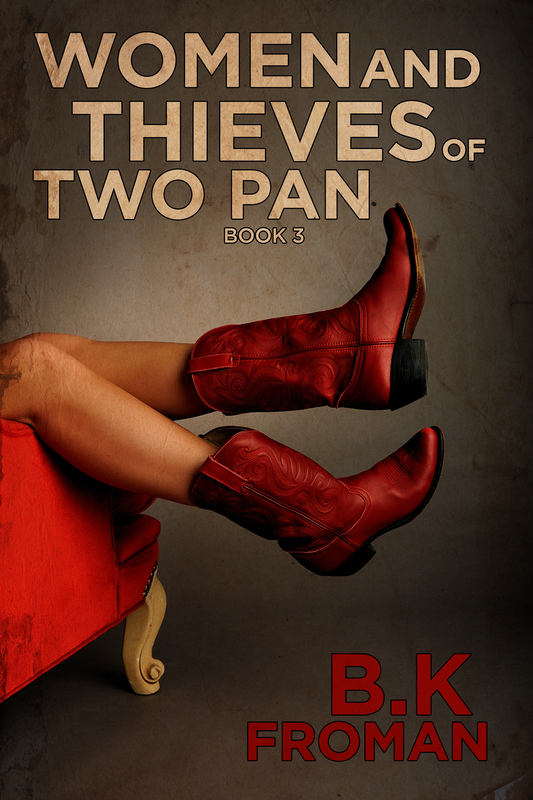 A story of laughs, family fracas, loyalty … and all that’s in between. The mistakes. The attempts to fix it. The humor and tragedy about the flaws in all of us. A journey in the wilderness makes the reader wonder if they could survive Belle Chere and the outlaws of Two Pan. Good Morning. Love the cover of the book. Thanks. Yeah…I’ve known a couple of cows like that. They had as much smarts as a doorknob. Of course, they could NEVER find the gate or the right direction to go to get to the barn…so maybe they weren’t that dumb.